Today was a pretty typical day for me, but I managed to stop and appreciate my weekday routine at a few points. I started my morning off with a bowl of cereal while sitting in my living room and taking in the sunshine. 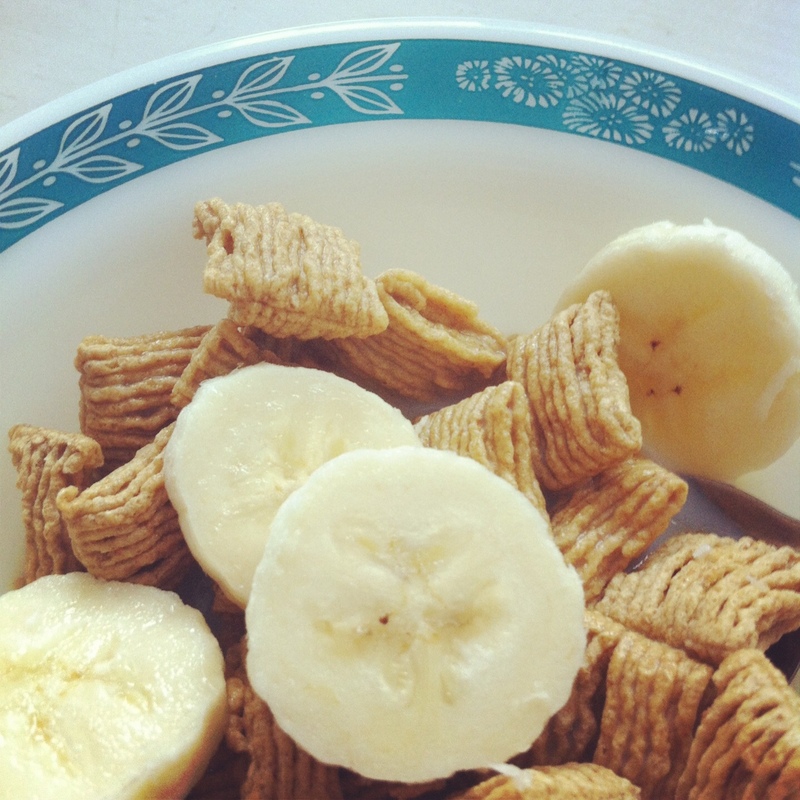 I’ve been trying to eat more healthfully and bananas are one of the relatively few “healthy” foods I genuinely enjoy eating, especially when they’re paired with another yummy item like cereal or peanut butter. (PS: I absolutely love these bowls; this is the “Laurel” pattern from Pyrex. I think they’re probably from the ’60s). After breakfast I packed up my things and headed over to the community library that’s down the street from my apartment. 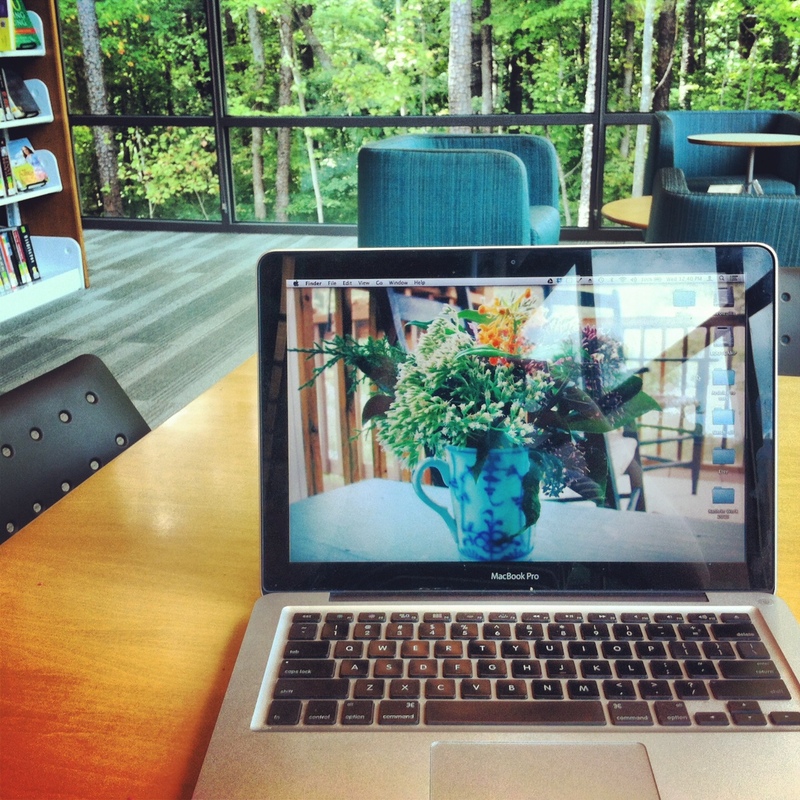 It’s not a very impressive library in terms of selection, but it’s a gorgeous place to sit quietly and get my work done. The interior features a beautiful warm hardwood ceiling and walls of windows overlooking the woods behind the building. I work from home as a research assistant during the week and I decided today to make the short drive for a change of scenery. I love living in such close proximity to so many green spaces! Finally, after I got most of my work done, I took myself over to Cameron Village, which is an outdoor mall that includes some cool shops and places to eat. 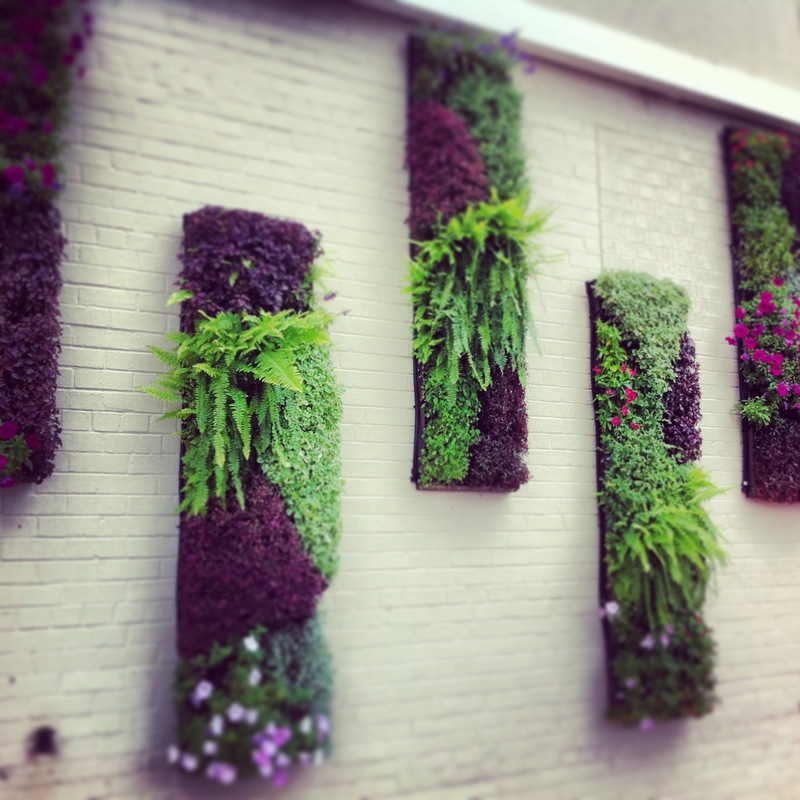 I happened upon these interesting vertical planters while I was there. I really appreciate when it’s clear that some thought has been given to beautifying the visual environment, particularly when it involves bringing touches of the natural world back into manmade spaces. So, that’s my Wednesday. What were the highlights of yours? This entry was posted in Uncategorized and tagged living in raleigh, photography, weekday routine. Bookmark the permalink.